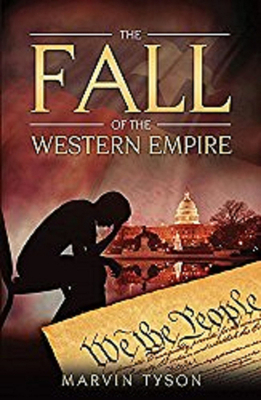 There are possibly more explanations for the fall of the Roman Empire than for any other event in history: from the theory that links the widespread use of lead in utensils and glass with mental impairment (and hence incapacity for rule) to the sequoia tree theory, which purports to show through reduced ring growth in these ancient trees how the period coinciding with the fall of empire was one of hardship and death. The more bizarre theories are entertaining but devoid of explanatory power. The question still remains: why did the empire fall? As Christie suggests, the question is misconceived, for rather than collapse there was in the west a process of transformation and in the east the empire continued, scarcely less 'Roman' than before even though Rome itself was not a component. Marvin Tyson is a lifelong Texan of many generations (his first confirmed ancestors arrived in Texas about 1820-24). He was born in Brown County in 1949. His family was poor while he was growing up. He got his first real job when he was eleven years old working at a Corpus Christi marina for a dollar a day! That was seven days a week when school was out, and it seemed like a ton of money to him. He also got tips from customers that could more than double his salary at times. That enabled him to buy school clothes for the next year and take in a weekly movie (twenty-five cents with a coke and popcorn or candy!). Marvin served a tour in Vietnam as an infantry platoon leader with the 82nd Airborne and 101st Airborne Divisions. When he came home, he worked anywhere he could find a job until he taught himself how to weld and went into the construction industry as a pipe welder. He went to work at the Amoco Refinery in Texas City where he worked thirty-four years as a welder, supervisor, and apprentice coordinator before retiring in 2009. He was asked to come out of retirement last year to develop a pipefitter and welder program for Alvin Community College where he remained until October 2015.